Options include separate sliders for music and sound, plus full screen, widescreen, and custom cursor. There are three modes to choose from, Casual, Hard, and Advanced (slow skip and hint buttons, active zones not highlighted, black-bar tips disabled.) I went with the middle of the road with hard mode. The narrator's voice is reminiscent of a cross between Morgan Freeman and Rod Serling, the narrator/host of The Twilight Zone. Nice voice! The voice acting is very good, and done throughout the game. There are no text-only interactions with characters, but there are occasionally snippets of voice-overs with no text! Nothing all that important to the story -- usually just a scream or two and plea for help. First impression? This is a game that uses live actors and does it right, with the characters barely seeming out of place. Nicely done! The plot is deliciously creepy, making me want to figure out what's going on right from the beginning. Playing further I see that the main characters aren't all that well-blended (with the rest of the graphics.) As we get towards the end of the game, the voices aren't well-synched with the actors, either. Humph. I don't care for live actors, in general, and this is one of the reasons why. Before we go any further, I have to give a SNAKE WARNING! I like snakes, personally, but I know a lot of people are scared of them, which is why I mention it. There are a couple towards the beginning of the game, but none thereafter. We have a journal (diary) which documents what we experience, sometimes giving extra story, and NOT giving us unsolicited hints (yay!) When we find something new, it goes into the diary, but does not continue to glow or pulse when there's a new entry. There is a GOALS button above the diary, but clicking on it does nothing... I'm not sure why they put it there. 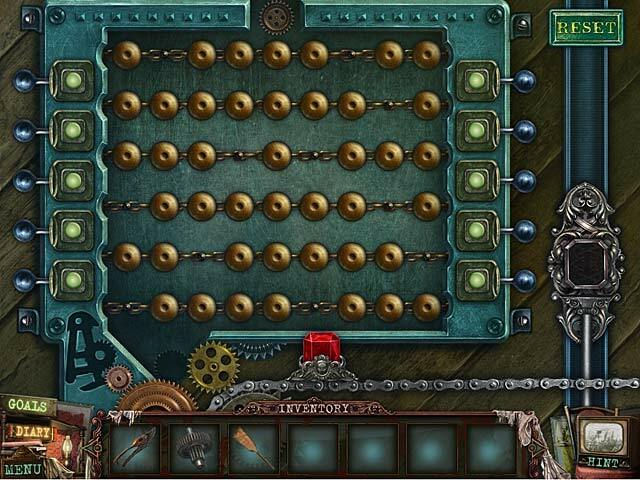 Using the HINT button during the adventure portion of the game will tell you "There is nothing to do here," and there is no MAP*, making a strategy guide and/or walkthrough helpful if you get stuck. *It's possible that there IS a map in Casual mode, but I didn't check. 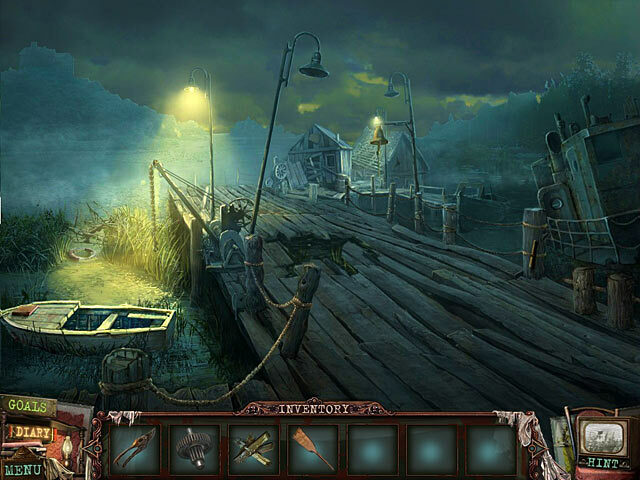 The inventory bar retracts during gameplay, but cannot be locked in an open position. I didn't realize until I'd been playing for a while that we're carrying around a projector We will periodically find film reels, and can view them by clicking on a little box slightly to the left and below the hint button. There's a time where we have to move x-item when we could have easily gotten over it, but the game explains WHY the item has to be moved -- something I really appreciate. Sadly, they only did this once in the game, and the rest of the time we're left to wonder why we can't just use x-item in our inventory instead of making a stupid action. There are times when we use our inventory items in creative ways, which I applaud, but as I mentioned, sometimes what we have to do is just stupid. I could wax poetic about the things that aggravated me about this game, but that would involve spoilers, and I don't want to go there. Instead, let's focus on the GOOD parts of the game! The game has some of the best blending of live-action with computer graphics that I've seen in a game. It depends on where you are in the game, but some of it is just beautifully done! 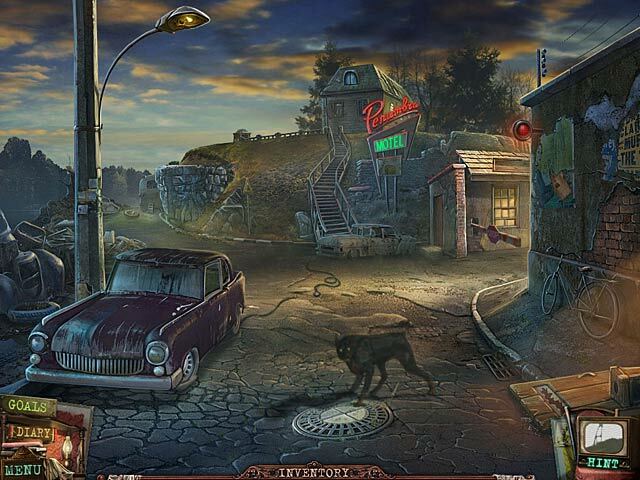 There are a lot of locations, and the game is very long without depending on hidden object scenes (there are NONE) to lengthen the gameplay. The graphics can be disturbing, desolate, beautiful, or any combination of the three, and are all done very well I enjoyed the mini-games, and only had to skip a couple. Overall, I found myself disgruntled with the game because the inane actions we were required to take -- admittedly, one of my pet peeves. I quickly became disenchanted, both with the game and with the story, and by the time I got to the end, it seemed like we (our character) had lost our focus and ultimate goal. The ending was short and somewhat unsatisfying for me, though this is possibly because I'd lost interest by this point. Originally I had thought to upgrade to the CE, but I trashed those plans -- turns out, I just don't care. This is a good game that was ruined by stupidity. Boo-hiss, devs!